One of my favorite books to read to my kids when they were young was Owl Babies. 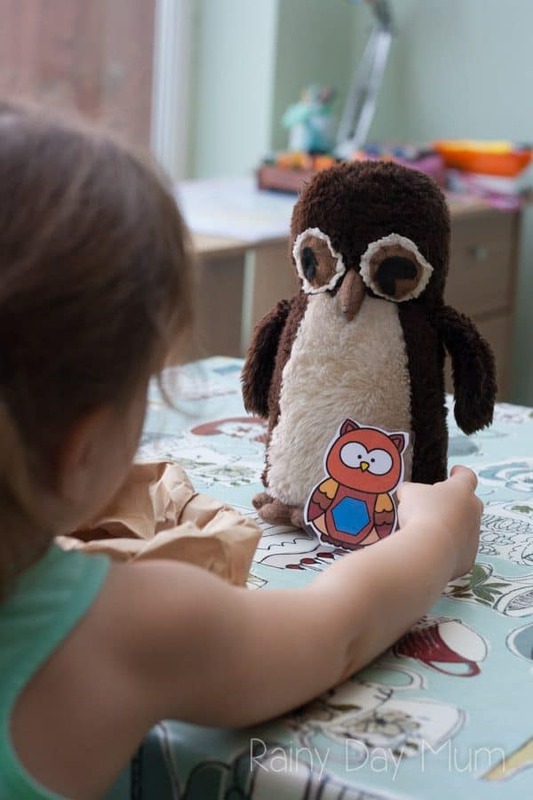 Such a sweet story and I am delighted that we have chosen Owls and the book for our last theme for October for the Virtual Book Club for Kids. Please do check out the next two months of themes and make sure that you are in our Facebook Group to get some extra activities and suggestions and check out the end of the post for this week’s lesson plan from the co-hosts. This is a simple to set up shape activity and we loved it, combing color recognition, shape, and sorting. 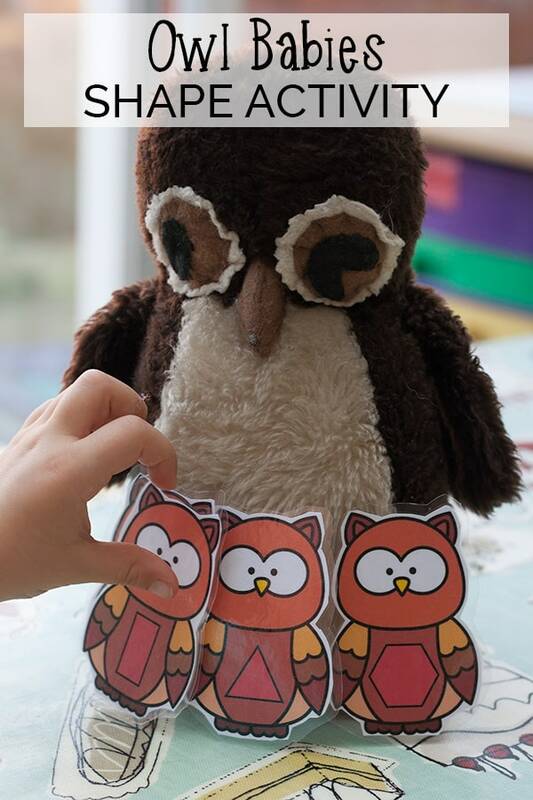 Print out and cut out the Baby Owls. I laminated them to make them a little harder wearing but if you print on strong cardstock this wouldn’t be necessary. 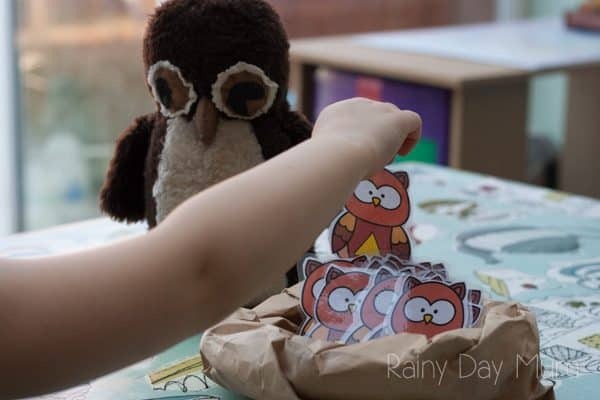 Take the paper bag and roll it into a nest for the owl babies to sit in. Review the different 2D shapes with your child – H knew Circle, Triangle, Square, but Oval, Rectangle, and Hexagon were new shapes for her. As this activity works from the first shapes that children will learn to recognize through to the expectations at the end of foundation stage in the UK (Kindergarten in the US) you can choose whether to work with all 6 shapes or pick just a couple to work with. Place the babies in the nest. 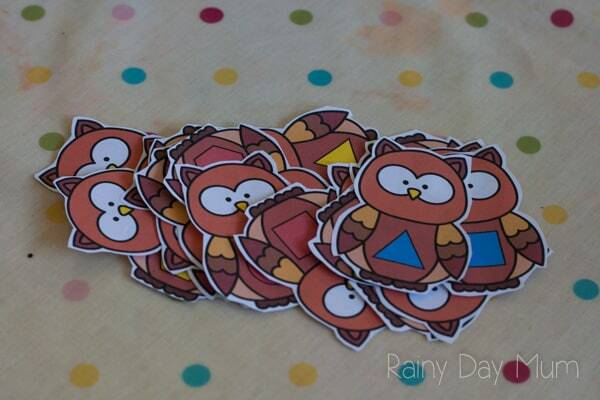 Pick an owl baby to fly to it’s Mother Owl. 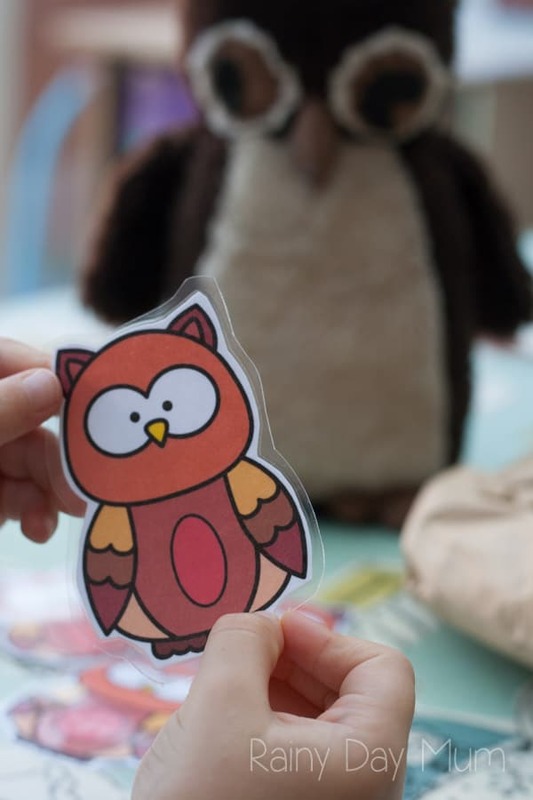 Ask your child to identify the color of the owl baby and then the shape. With the shape once identified talk a little using some shape language like the number of sides, whether the sides are the same size or different. 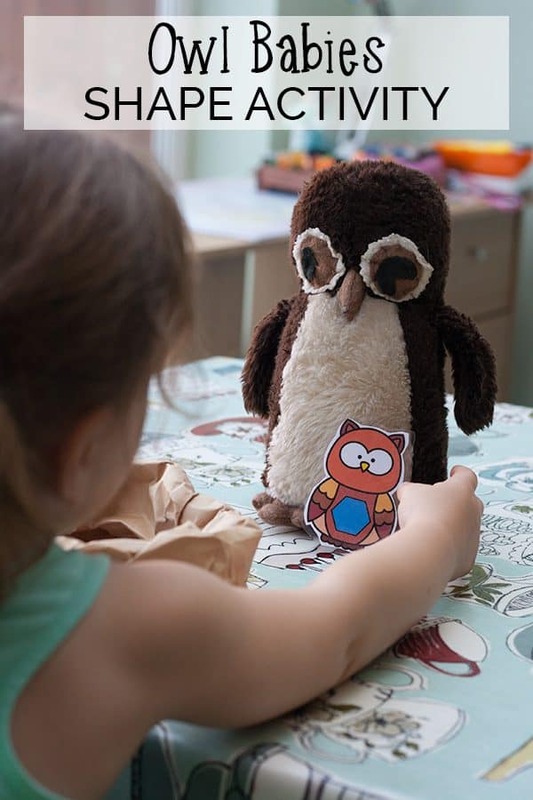 Now challenge your child to find either another owl baby the same color or with the same shape. 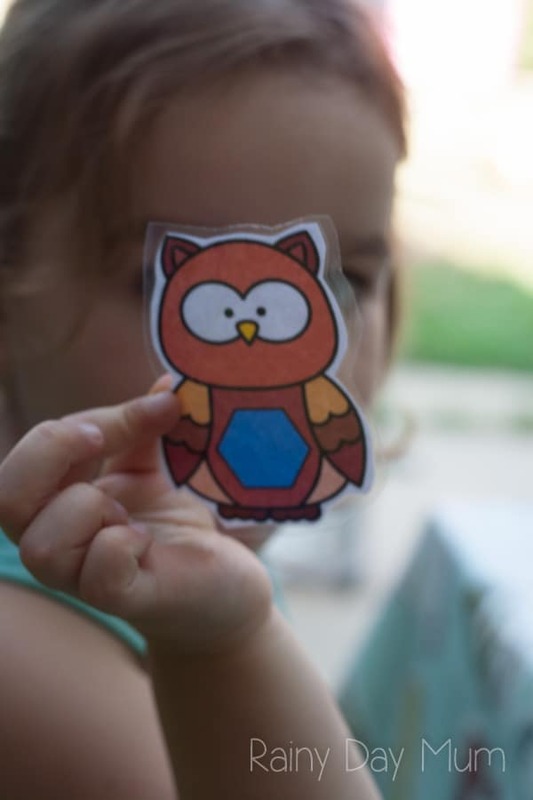 Having oval and circle, and square and rectangle is interesting as some children can identify the differences immediately and others need to be taught by looking at them in more detail. I know many of you enjoy our book themed posts each week and with them, I like to provide a few extra books that you can add to your book basket as well along the same theme. Here are our suggestions this week. The Virtual Book Club for Kids is a weekly book themed series hosted by Toddler Approved, The Educators’ Spin On It, myself and a variety of co-hosts. 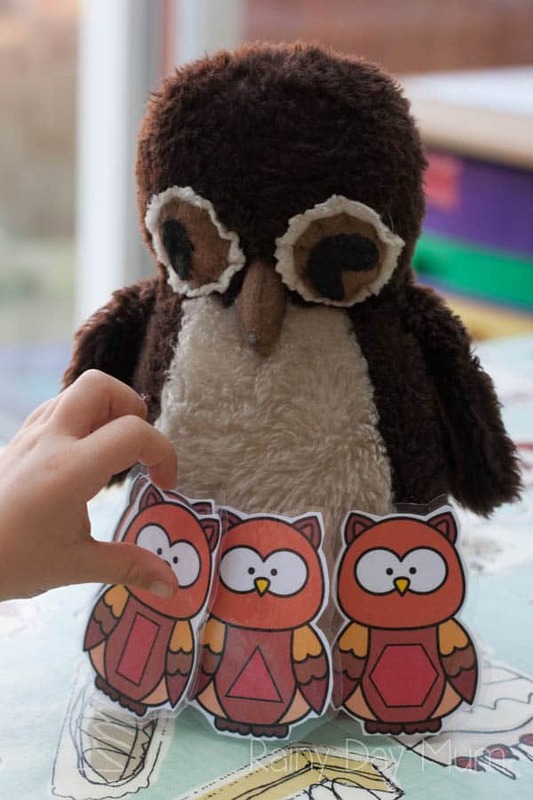 Each week we have chosen a popular theme for 2 to 5-year-olds and our favourite picture book and providing you with a variety of hands-on activities created by us to use with the theme and book. Don’t forget you can join our book based activities list newsletter and get weekly updates and ideas as well as join our Weekly Virtual Book Club for Kids Facebook Group. This is an adorable activity. 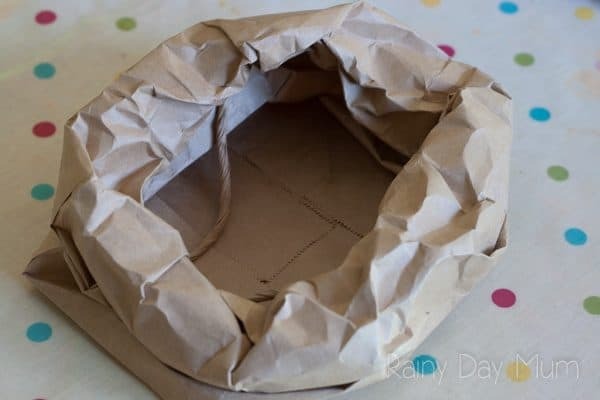 I love the idea of using a paper bag to create the nest! 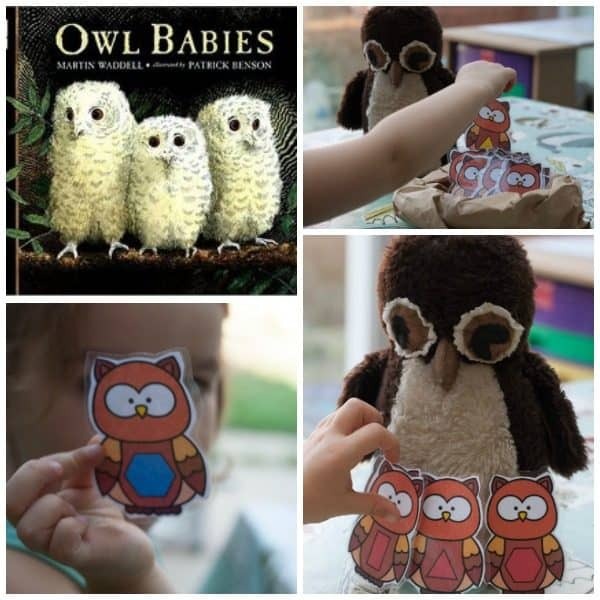 My youngest is 6 and I still read Owl Babies to him – it’s a classic!